Clique: Have You Tried Our Opium Cocktail? 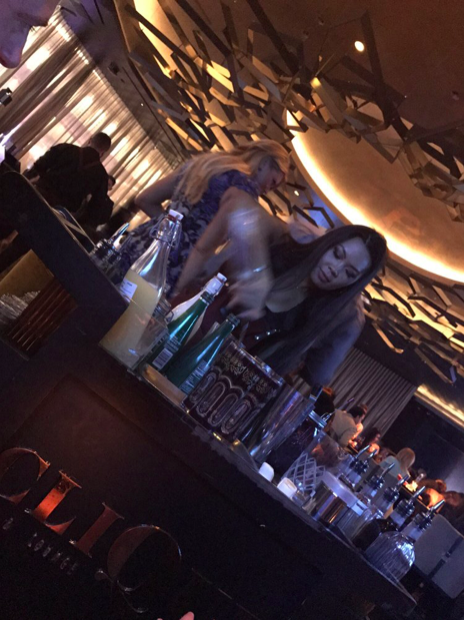 At Clique Bar & Lounge, we’re committed to offering our customers a cocktail experience unlike any other. When you visit our Las Vegas lounge, you’ll be treated to a creative menu of cocktails curated by our master mixologists, ranging from expertly made Sangria to signature cocktails, shooters, champagne cocktails, and more. For those who like a little pomp and circumstance around their cocktail experience, we also offer a Tableside Mixology service where a trained mixologist mixes your drinks to order. It truly can’t be missed! Today, we’d like to introduce you to our latest Tableside Mixology offering: the Opium Cocktail. In this post, you’ll learn all about the cocktail and why it’s a must-try item! Before you can understand our Tableside Mixology service, it’s important to understand what mixology is (and what it isn’t). Mixology refers to the art of creating a craft cocktail. A mixologist is the person who mixes the cocktail in question. It’s understandable that many people are confused about the difference between mixology and bartending. Basically, a bartender is someone who is trained in how to make drinks. A mixologist is also trained in how to make drinks, but he or she also has a higher level of understanding of the components of a cocktail and what function each one serves. This makes them able to not only mix drinks, but to create perfectly balanced drinks of their own. That is to say: bartending is more like you’re following a recipe, where mixology is where you’re creating the recipe. Now that you understand what mixology is…what is Tableside Mixology? At Clique Bar & Lounge, this is one of our VIP services. A trained mixologist will build drinks right at your table, before your very eyes. You’ll be treated to the art of cocktail creation, and will be able to ask him or her whatever questions you’d like about the cocktail. It’s a fun and fascinating process! Read more about our Tableside Mixology service in this post. Clique’s Opium Cocktail: the Ultimate Experience in Tableside Mixology! Clique’s new Opium cocktail might be our most memorable Tableside Mixology offering yet! This tantalizing cocktail is made with Tanqueray 10 London Dry Gin, Italicus Rosolio di Bergamotto, fresh lime juice, Beau Joie Brut Champagne, raspberries, blueberries, and marshmallows. Sounds fascinating, right? Let’s break down the components of it to better inform you about the experience that awaits. Tanqueray 10 London Dry Gin: This is no ordinary gin. Another unique thing about this gin? Instead of using dried citrus peel, which is common when making gin, whole citrus is used, giving it a unique flavor. This means that it has a citrus-forward yet herbal juniper flavor that pairs beautifully with the bright fruit flavors in the cocktail. Italicus Rosolio di Bergamotto: This elegant, herbal liqueur is composed of bergamot peel, Cedro lemons, chamomile, lavender, gentian, yellow roses and Melissa balm. It’s aromatic and slightly spicy, which means it imparts a certain je ne sais quoi to the Opium cocktail. The herbal flavor of this unique liqueur works in tandem with the juniper and liquorice in the gin, making for a subtle, layered flavor sensation. Beau Joie Brut Champagne: In contrast to the deep herbal notes of the gin and bergamot liqueur, this champagne has crisp fruit flavors and a firm body and texture. It’s not an overly dry champagne, which means that it’s the perfect contrasting zip to the other flavors in the cocktail. Combined with the gin, liqueur, and champagne are a variety of fruits, which give the cocktail a pleasing brightness, and marshmallows, which give it a mellow sweetness. A study in contrasts and fascinating flavors, this is truly a cocktail unlike any other! Conclusion: At Clique Bar & Lounge, we like to shake things up with cocktails featuring delicious and unexpected flavors. Our Opium cocktail, which is one of our newest Tableside Mixology offerings, is the perfect example of our innovative offerings, featuring herbal and fruit components that you might not expect to see together in the same cocktail. Featuring layers of fascinating flavor that will challenge and entice the palate, this creative feat of mixology simply cannot be missed! Have you tried our Opium cocktail?